Setting and achieving goals in life can help kids feels more successful. Sometimes, kids just need a bit of structure and guidance when learning how to set realistic goals for themselves. 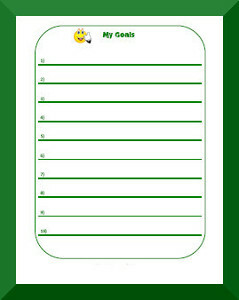 Our goal charts are designed for all ages, even the youngest goal setter. We've also included a list of Goal Ideas which can get your child started on the right track.